One of the many dramatic spaces inside Birmingham's new city library. 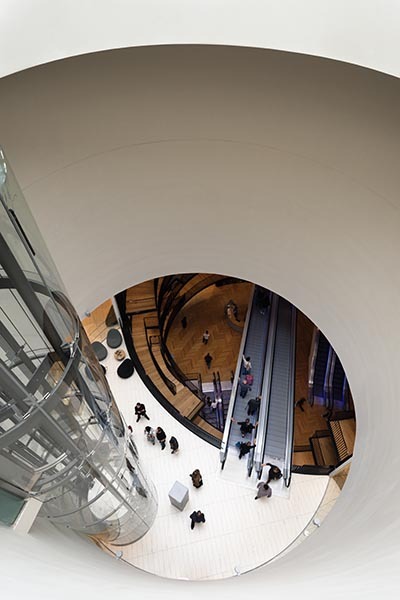 This is the view looking downward alongside the glass lift which connects the roof terrace with the main part of the library. The architects were the dutch firm Mecanoo.